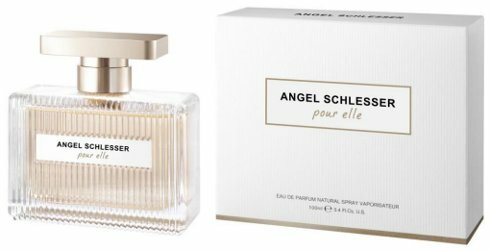 Spanish house Angel Schlesser will launch Angel Schlesser Pour Elle, a new floral fragrance, in December. A story of seduction with a touch of mystery, for a woman who seduces with natural grace and leaves an indelible memory. With the essential qualities of femininity and elegance so representative of Angel Schlesser’s aesthetic. Angel Schlesser Pour Elle was developed by perfumer Amandine Clerc-Marie. Notes include bergamot, red berries, calendula, jasmine, peony, orange blossom, apple, patchouli, vetiver, tonka bean and benzoin. Angel Schlesser Pour Elle will be available in 30, 50 and 100 ml Eau de Parfum. I L O V E Schelsser’s packaging, fonts, bottles, you name it. It is a shame that, at least for me, the fragrances smell …. well.. very faint, to put it mildly. Every time I see a bottle I get exited, and when I test it, the thrill is gone. But whomever does the packaging and bottles, that one I’d hire without thinking if I had to design my own line! What a shame! They aren’t distributed much in the US so I don’t see them anyway.